China Glaze Nail Polish, Evening Seduction, 256, .50 fl. oz. 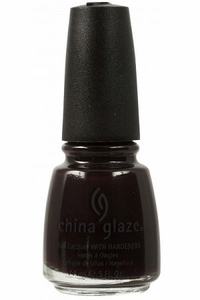 Very dark, blackened plum creme nail color with a high gloss shine.